The founder of Your Autism Coach, LLC shares her special Valentine’s Day wishes for you and the people you love most. Learn simple and enjoyable ways to connect with your neurotypical children by planning regular parent/child date nights. The mother of two sons on the autism spectrum shares a touching letter intended for her older teenage son, revealing her loving wishes for his future. A world-renowned brain expert describes her five-step training program developed for highly visual thinkers with communication problems in attention, memory, listening, reading, speaking, and writing. Five simple activities you and your child with autism can do together when you can’t go outside. The loving mom of two young adults who are on the spectrum shares the joys autism brings to her family. A developmental psychologist and executive director of a multidisciplinary treatment facility offers ways couples affected by ASD can improve their relationship and regain the intimacy they once enjoyed. Learn the benefits of music, including how it can promote communication within non-verbal children and further stimulate verbal children to further integrate into society. A nationally certified, licensed massage therapist shares how she was inspired to complete her pediatric certification and autism training after successfully calming a nephew with autism. A pediatric occupational therapist and the author of 11 books shares the many gifts of autism and how people on the spectrum serve an important role precisely the way they are. The mother of two young boys shares her response to parents who may not fully understand the challenges of autism. An author, teacher, and keynote speaker shares her innovative approach toward understanding autism. A mom to five children shares how she thoughtfully and thoroughly explained her son’s autism diagnosis with extended family. Learn about the development of Caroline’s Cart, designed specifically for shopping with older children with special needs. Expert advice on how parents and teachers can help children with ASD thrive in the classroom environment. Take a look at Anne Carol Sharples’ insightful book called The Parents Guide to Autism, which provides ways to support children through major milestones, to nurture their development, and to thrive. Learn about the first clinical evaluation of a new type of intervention called the Hunter Heartbeat Method: a fusion of activity, drama, and humor based on the works of William Shakespeare. Terrific professional advice on ways you can help your child with autism develop vital friendships. How Can I Begin Planning for My Special Needs Child’s Future? Expert financial advice on how to begin the sometimes overwhelming process of planning for your child’s future. For a light yet hearty meal, this prawn and potato salad is sure to please. The love of family is one of life’s greatest blessings. As the mother of two young women, I understand the never-ending drive parents possess to guide, support, and defend. There is no love quite like family. Family life can also present some challenges. Daily stressors, such as demanding jobs, taxing finances, health issues, and complex diagnoses, can wreak havoc on even the most loving, well-intentioned family. It’s so easy to lose sight of what’s most important when surrounded by constant pressures. In light of this, we chose to dedicate this month’s issue to the greatest love of all: family. 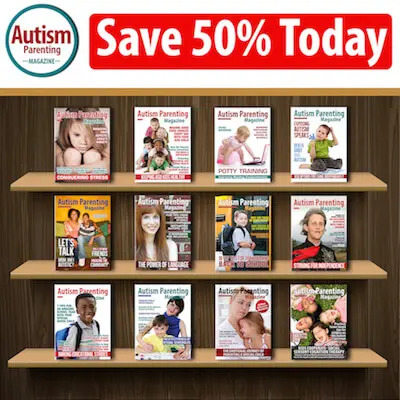 This is definitely an issue you won’t want to miss, as we have selected articles that will benefit the people you love the most, whether you’re the parent of a child with autism or are on the spectrum yourself. First off, we have a special treat in honor of Saint Valentine this month. Deanna Picon—who provides personalized guidance, support, and seminars for parents of children with special needs through Your Autism Coach, LLC—has provided us with an article called 8 Valentine’s Day Wishes For Special Needs Families. In her piece, Deanna shares her special hopes and dreams about teamwork and family pride for families affected by autism. We are also thrilled to share a piece centered on couples in loving relationships called Ways Autism Focused Couple Therapy Can Change Your Life, written by Esther B. Hess, Ph.D. A developmental psychologist and executive director of a multidisciplinary treatment facility, Dr. Hess offers ways couples affected by ASD can improve their relationships and regain the intimacy they once enjoyed. Parents are so often reminded of the importance of planning “date nights,” especially when navigating the challenges of a special needs family. But what about the neurotypical child whose daily life is affected by a sibling with autism? It’s easy for neurotypical siblings to be left out, as they tend to assume different roles within the family. That’s why regular parent/child date nights are essential to connect and nurture a meaningful relationship. Please take a look at Tara Bertic’s piece called Winning Ways to Share the Love With All of Your Children, as the homeschool mom to four teenagers shares simple and enjoyable ways to connect with your neurotypical children. As parents, we know how important it is for our children to establish friendships outside the family circle—it’s vital to their overall well-being. According to Sarah Kupferschmidt, MA, BCBA, many children with autism aren’t able to establish friendships and continue to have difficulties doing so once they get into their teen years. The long-term effects include anxiety and depression. 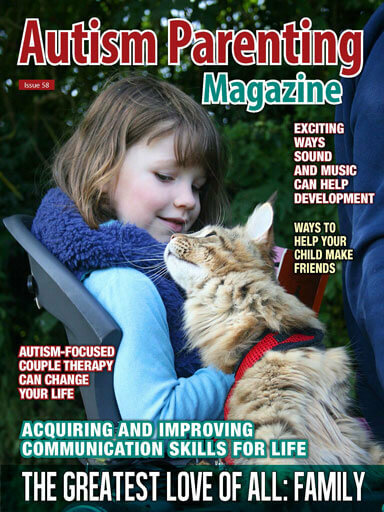 Please take a look at Sarah’s piece, Excellent Ways to Help Your ASD Child Make Friends, as the therapist shares advice on ways you can help your child with autism develop critical friendships. Unfortunately, not all extended families are as understanding as we would like them to be, especially when it comes time to relay a diagnosis. Please take a look at Janele Hoerner’s piece called Mom Shares Ways to Explain Autism to the Extended Family, as the mother of five children shares how she thoughtfully and thoroughly explained her son’s autism diagnosis. Her advice can make a real difference during an emotional time. Providing you with guidance and the tools to make life a little easier is a major goal here at Autism Parenting Magazine. That’s why it’s so important we connect with knowledgeable doctors, specialists, and parents who work hard to conquer challenges every day, as well as people who are on the spectrum. Do you know a child with autism who has a difficult time focusing in the classroom? If so, please read HELP: My Bright Grandson Struggles in the Classroom, as Angelina M., MS, BCBA, MFTI shares her expert advice on how parents and teachers can help children with ASD thrive in the classroom environment. If you are in search of information on ways to help your child obtain and increase communication skills, please read 5 Steps to Acquiring and Improving Communication Skills for Life. Written by a world-renowned brain expert, Cheri Florance, PhD., the article includes her five-step training program developed for highly visual thinkers with communication problems in attention, memory, listening, reading, speaking, and writing. Many special needs families struggle when it comes to planning for the future. After all, day to day planning and expenses can be overwhelming all on their own. If you have questions or concerns, please take a look at the piece called How Can I Begin Planning for My Special Needs Child’s Future? as financial expert Ryan F. Platt, MBA, ChFC, ChSNC of A Special Needs Plan shares his insight on ways to begin this vital process. It may seem daunting at first, but you will feel better knowing plans are in place. Wishing your family strength, understanding, and love. My grandson, Emare was diagnosed w Autism last year. He is taking to therapies at Kindercaring for physical and Motor. No Speech yet. Do you know at what age can he be in Preschool? And what are the steps to go about special needs and an iep? In what order. How can i help my Granson when he comes to my house. I am his care taker. Is sign language good? It hurts my Soul when I hear the sound of chocking and strugling but nothing comes out. My heart brakes and all I do is cry. Please give me some suggestions!! I would guess it may depend on your state and school. My son was enrolled in a public school preschool at the age of 2 years 9 months. Having a documented diagnosis is key to get the correct and accurate services he will need. There is testing and observing that the school is required to do. We use a lot of pictures- so he can point to them or bring them over to you if he is having trouble communicating. Visuals are our saving grace. It’s a journey, but you are not alone. Sorry to be do dense but I subscribed to the magazine but how do I access each issue.